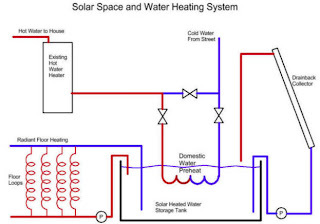 We have been working on a very simple solar system that will do space heating and domestic water heating from the same system. Its a very simple system that takes only regular DIY skills to build. Nearly all the materials can be picked up at the local Home Depot type store, and the ones that can't have good online sources. 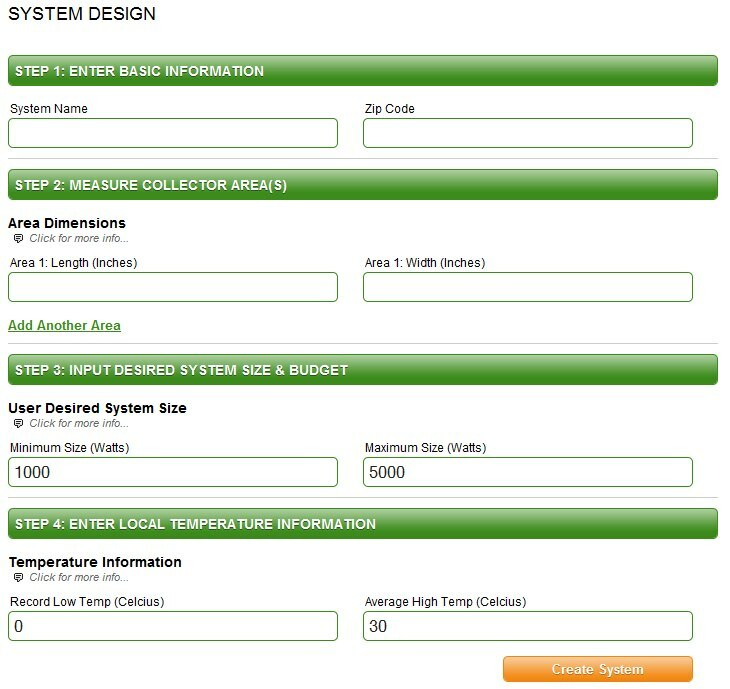 I've documented this system better than any other system on Build-It-Solar -- there are over a hundred pages of design and build information that should make it fairly easy to adapt the system to your situation. 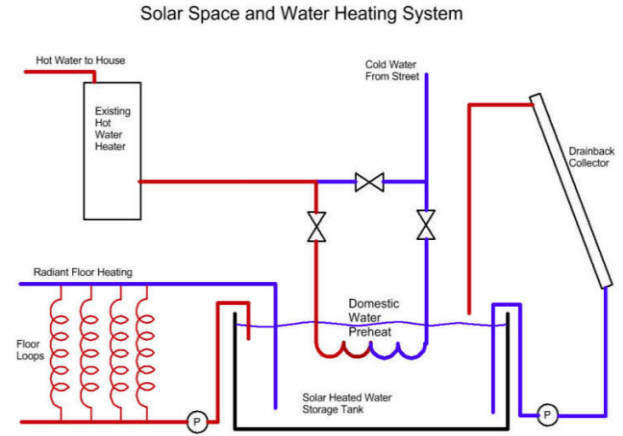 There is also a lot of material on how stuff works and on other alternatives for each part of the system -- a bit of a text book on solar space and water heating. We used twinwall polycarbonate glazing. 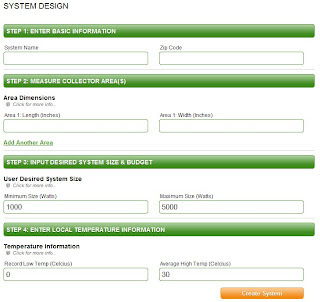 The system design is based on the $1K Solar Water Heating System that many people have built with good success. It uses the same drain back collector system, and the same single large, vented to the atmosphere drain back tank. 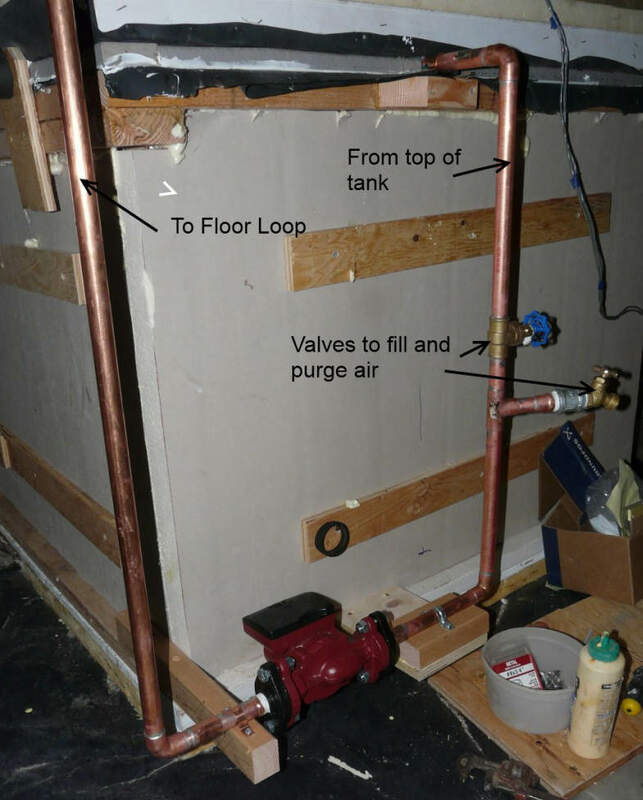 It also uses the large coil of PEX heat exchanger for domestic water preheat. The differences are that the collector is larger to provide extra capacity for space heating, the storage is larger, and there is a new system to distribute heat from the tank to a simple radiant floor loop. 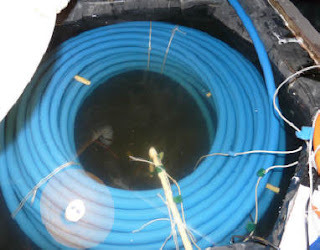 The new radiant floor system just takes water from the top of the tank, pumps it through the floor loop, and returns it to the bottom of the tank -- no heat exchangers, no antifreeze -- just a little PEX tubing and a pump. The new pump for the radiant floor loop. 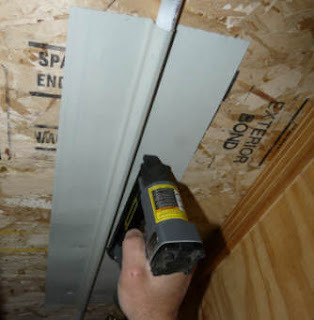 We used a staple-up floor loop with insulation under. This is the big coil of PEX that serves as the domestic water preheat heat exchanger. It could (and should) be expanded with more collector area and more tank size to be able to do more space heating. We would have added more collector area if we had the space for it on our south wall. We do already have a dedicated solar space heating system, so this new one gets a part of the house not heated by the existing one. The total cost of materials was a bit over $2000. The system could be built for as much as $700 less, but we opted for "higher end" choices in the glazing, trim, and controller areas. I would estimate that the price for an equivalent commercially installed system would be north of $15,000 -- so the cost saving is significant. Based on the 3 year payback for the $1K water heating system, I expect the payback for this system to be 3 to 4 years. This is a chance to exercise your Physics brain a bit. 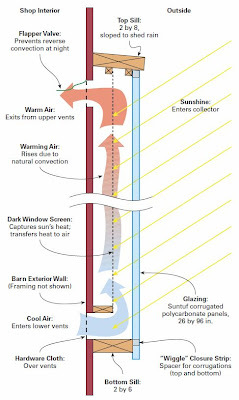 A few people have used a couple layers of ordinary window screen as the absorber for solar air heating collectors. This is the same stuff you put in windows to keep the bugs out. Scott and I have been doing some testing of air heating collectors of various types, and to the surprise of some, the collector that uses the two layers of window screen as the absorber has done as well or better (so far) as other more complex absorbers. 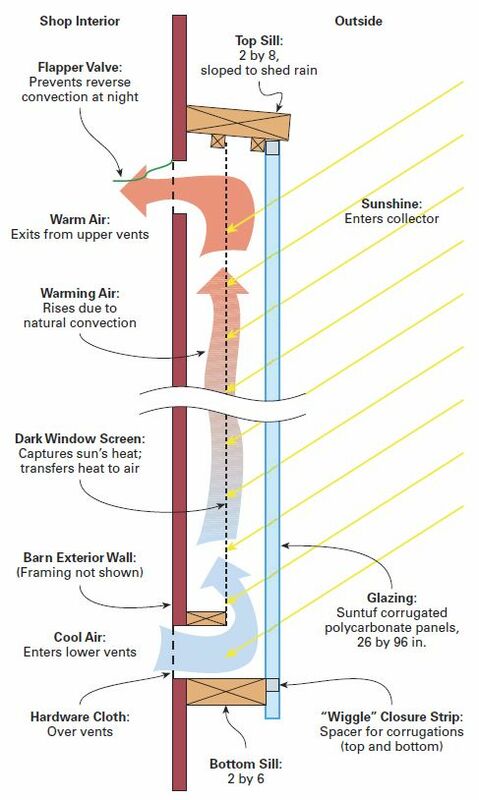 The way these collectors work is shown in the diagram -- air enters the collector via the bottom vent and is routed to the glazing side of the screen absorber. The screen has a little bit of pressure drop and this tends to spread the air evenly over the screen. As the air works its way through the screen, it is heated, and eventually makes it way out the top vent located at the top back of the collector behind the screen. In an alternative to this picture, it has been suggested by Laren over at the Yahoo SimplySolar group that the screen is really quite open, and that much of the sun passes right through the screen and ends up getting absorbed instead by the back wall of the collector. 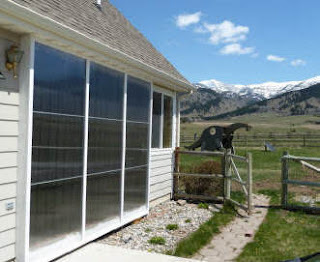 In this view, the screen still helps, in that it does absorb some of the solar, but, perhaps more importantly, it keeps the heated air from migrating back to the cold glazing where heat losses would be high. I did a little test to measure how much of the incident sunlight 1, 2 and 3 layers of fiberglass and aluminum screen absorb, and some tentative conclusions and some questions come out of this. So, take a minute to look at the results and see if you have any ideas to contribute on making these absorbers more efficient -- or, maybe you think there is a better option altogether? 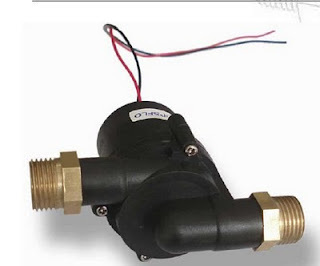 This is a new and very low cost pump that is intended for circulating water in solar water heating systems. Its a DC pump and is designed to be driven directly by a small PV panel. It has a startup head capability of about 9 ft, and a nominal flow rate of about 2 gpm -- good for 60+ sqft of collector area. It is also good for temperatures up to 200F and has automatic shutdown for higher temperatures. 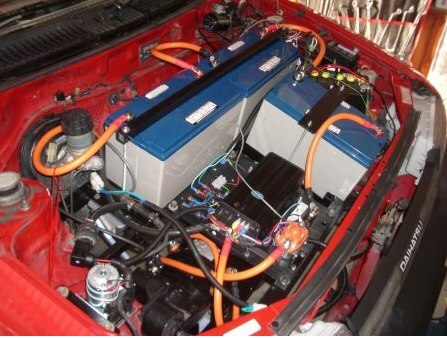 Its a brushless design and should provide a long life. But, it is new, so I suppose there is a bit of buyer beware. Thanks to Rodney for sending in a note on this. 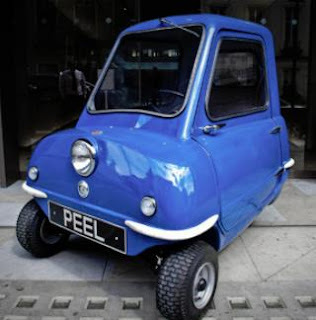 Gas to Electric Car Conversion in 3 Days! This is an interesting project that took on converting a small gas powered Daihatsu Charade in a weeks time -- they actually managed to do it in 3 days! 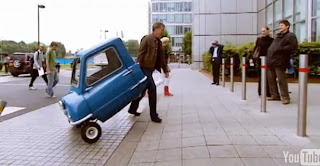 They did quite a nice job of documenting the whole thing including a very nice video that gives a good feel for what's involved in a EV conversion. I suppose its only fair to say that there were as many as 10 of these guys working on the car at once -- it might take one of us a bit more than 3 days. This is a handy calculator to get several alternative actual system definitions based on your available PV panel area, climate, and power range you are interested in. It will pick several alternative actual systems based primarily on lowest price. The definition includes specific PV panels and a specific inverter with prices, but does not include other details that make up the system -- so, there are still a lot of things to add to get to a full system. 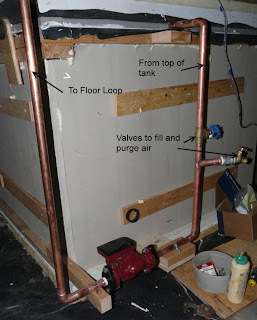 Getting close to putting up the detailed how-to on our new, simple, solar water + space heating system -- maybe Monday. The Peel P-50 is officially certified as the world's smallest car by Guiness. Passenger capacity 1 (plus one shopping bag). Judging by the video it might benefit from outriggers and some pollution controls.